GutterStrainer.com is a privately held company in Connecticut. Launched in 2003, our management team has over 21 years of experience in the rain gutter industry. 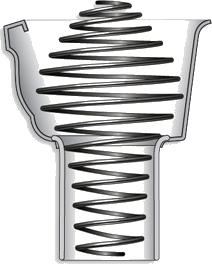 The Spring Gutter Strainer™, was created by members of Gutter Guys, LLC in Connecticut out of a practical need for an inexpensive product to protect downspouts & underground drainage systems. The result is a professional grade, high quality strainer that functions effectively for years after installation. Today, hundreds of thousands of Spring Gutter Strainer™ devices have been successfully installed in the gutters of residential & commercial properties by both gutter professionals and homeowners.